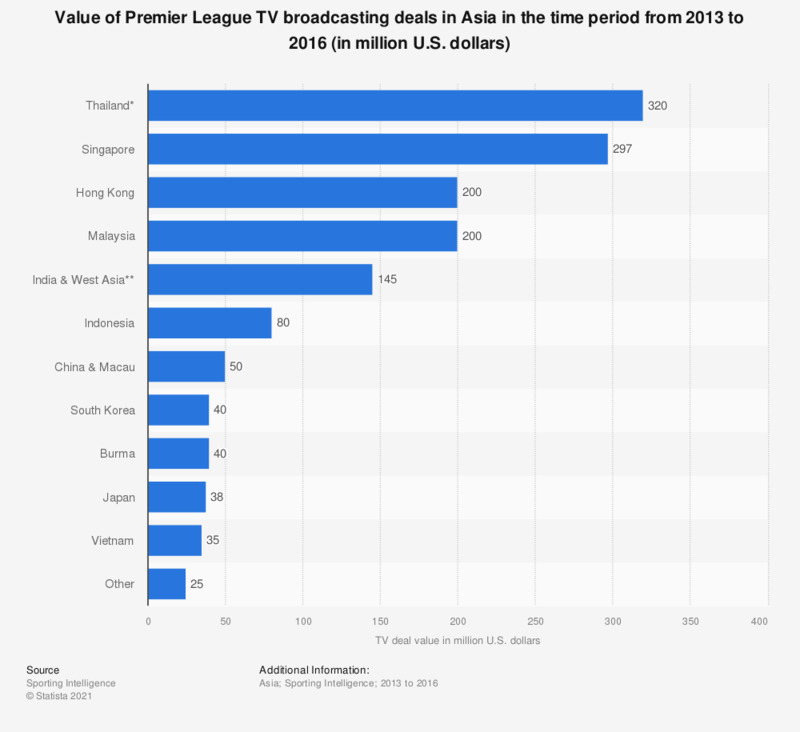 The statistic depicts the total value of the TV broadcasting deals of the English Premier League in Asia by country in the period from 2013 to 2016. TV deals of the Premier League in Singapore have a total value of 297 million U.S. dollars in that timeframe. ** Includes Pakistan, Bangladesh, Sri Lanka, Nepal, Bhutan, Maldives.